Sweet and salty in English. This combination of tastes is not often found in French cooking/cuisine, except for ‘rabbit with prunes’ and ‘canard à l’orange’ and is found more frequently in other countries. How to cook. a fashionable sweet and salty Techno recipe: Listen to those two guys from franceNick Tones & Romano Giorgio are ‘sweet and salty’. 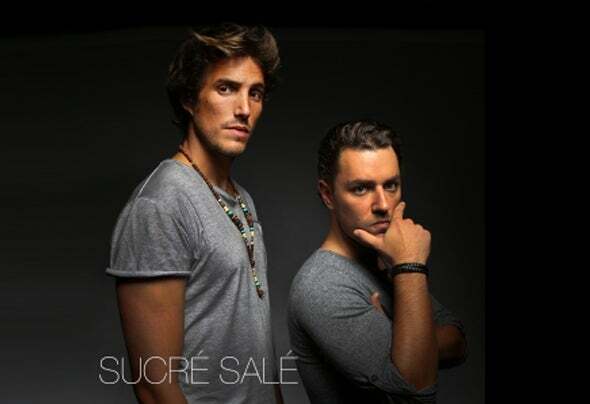 The duo « SuCré SaLé » is the result of two Deejays/Producers and also by default, friends, who came together for the pleasure that electronic music gives them. With a rhythm House and ‘minimalist, the two friends write their story via their travels which they try to transcribe for the better and the worse. A subtle mixture of percussions, and tribal sounds finely combined with a Techno Blanquette.A guaranteed trip during their sets which will bowl you over just like a tarte tatin which is still hot.